My sister visited Michigan and brought back some lovely blueberries. I couldn’t wait to make some muffins. These came out beautifully; not too sweet but a wonderful breakfast this morning. 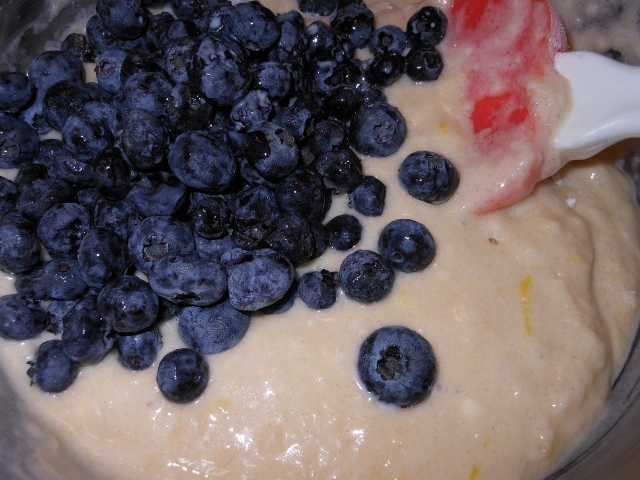 Mix flour, sugar, baking powder in bowl. In separate bowl mix oil, milk, egg, and lemon juice. 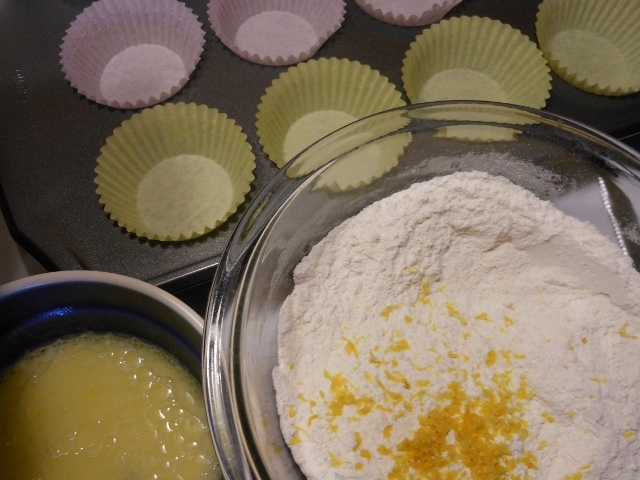 Gently mix together wet ingredients into dry. Stir until just moistened; batter will be lumpy. 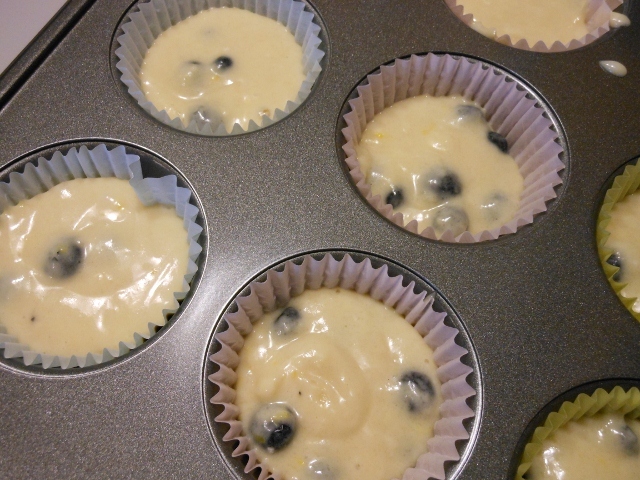 Fold in lemon zest and fresh blueberries ~ do this gently as to not mush the berries. Divide into 12 paper lined muffin cups. Bake at 400 degrees for 20 minutes or until lightly brown and toothpick inserted into middle comes out clean. 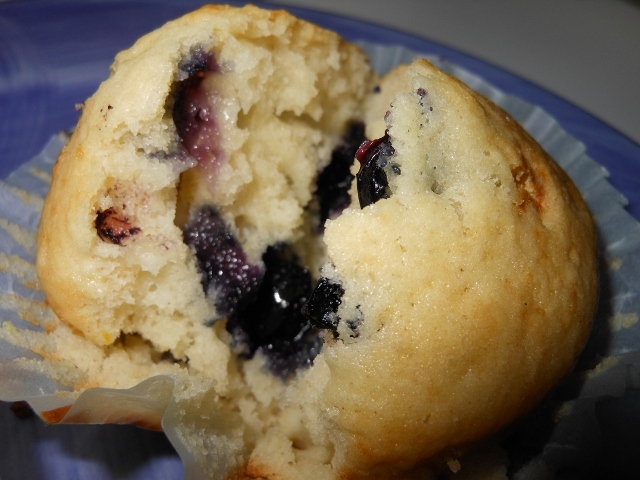 This entry was posted in Breads and Rolls, Recipes and tagged blueberry muffin, blueberry muffins, breakfast, food, homemade, lemon, lemon zest, muffin cups, muffins, recipe. Bookmark the permalink. 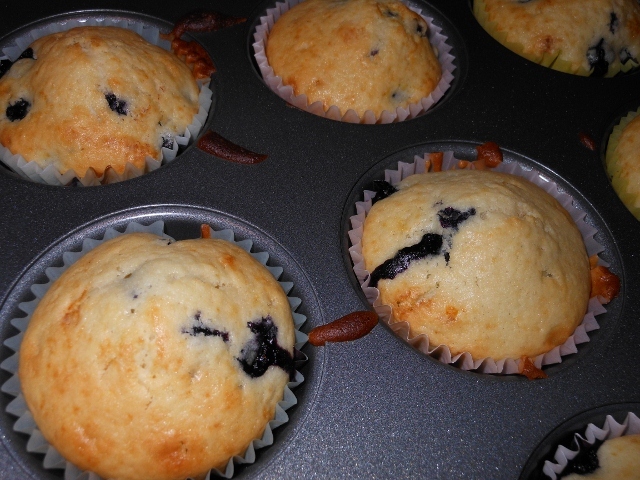 Love blueberry muffins. Can’t wait to try your recipe. I have some fresh blueberries in my fridge and this looks perfect.